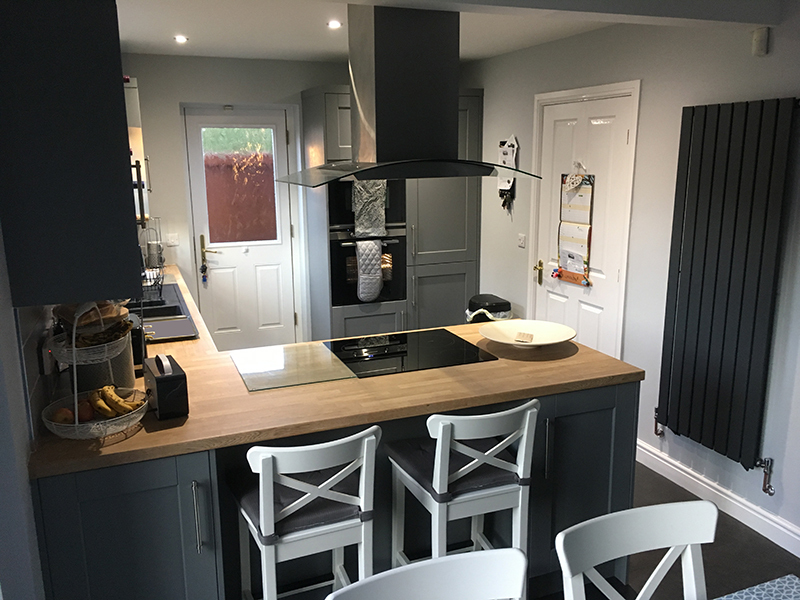 Our aim at Cook & Sleep is to transform your space and make it both user-friendly and aesthetically pleasing. A recent project saw us fulfil this aim by knocking down a wall to create a more spacious and modern kitchen. This back wall was eventually knocked down. 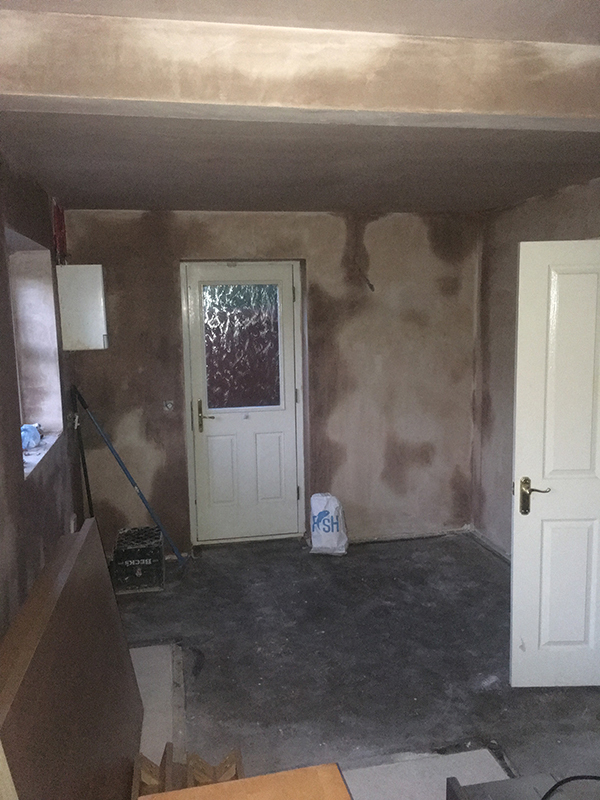 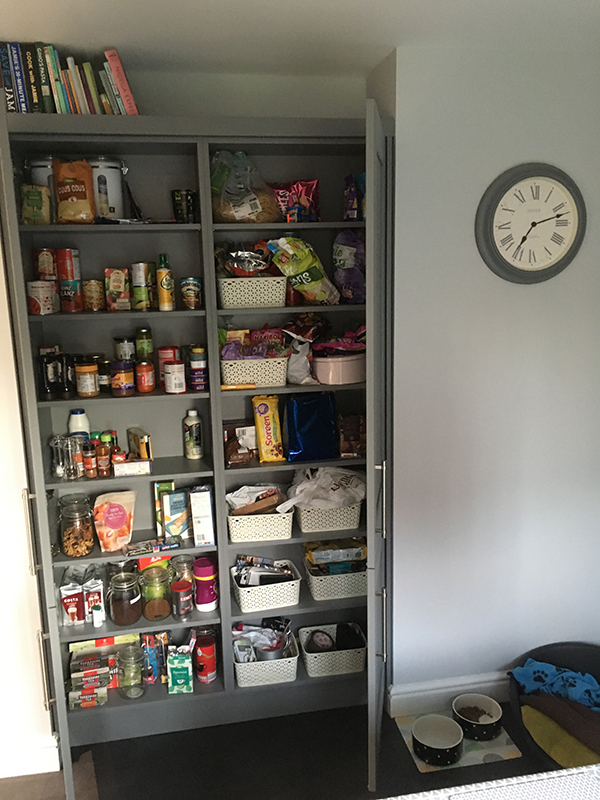 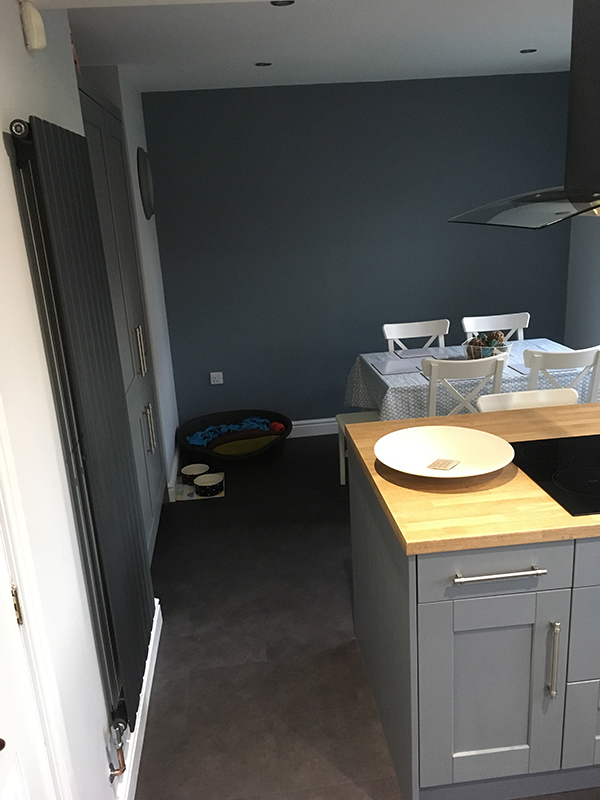 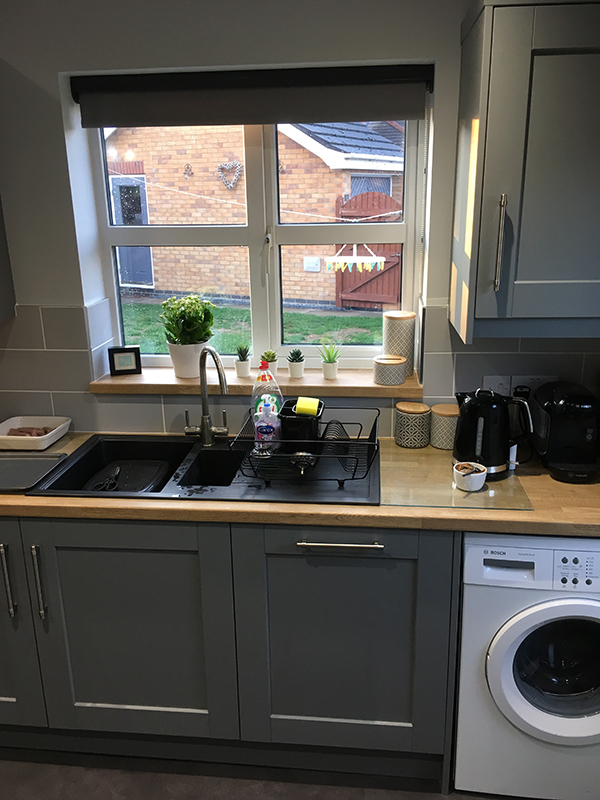 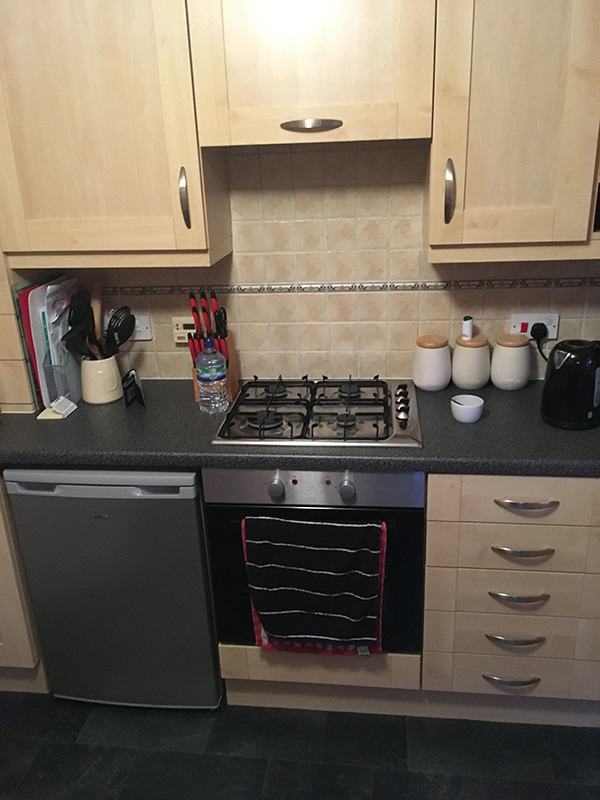 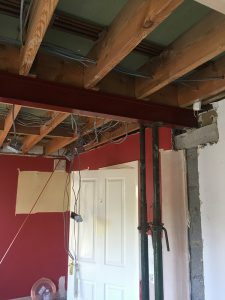 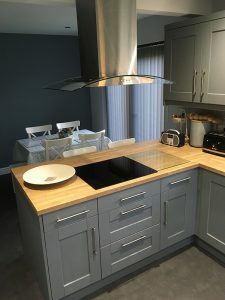 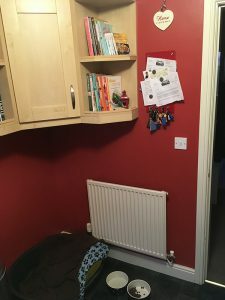 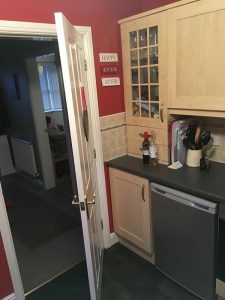 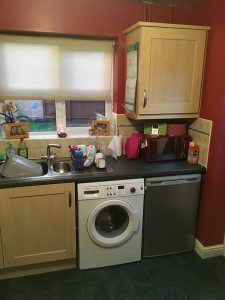 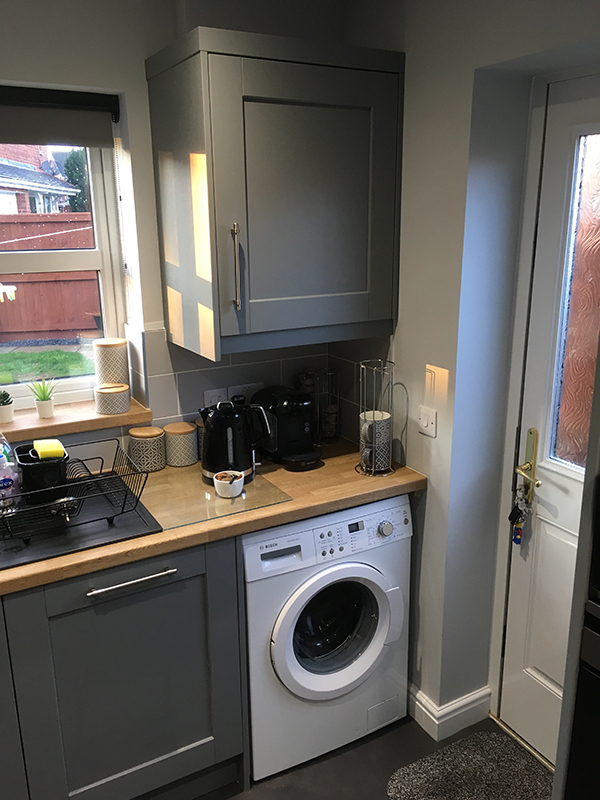 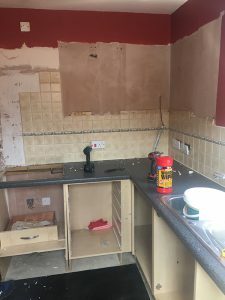 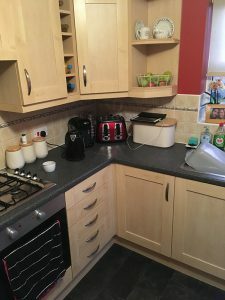 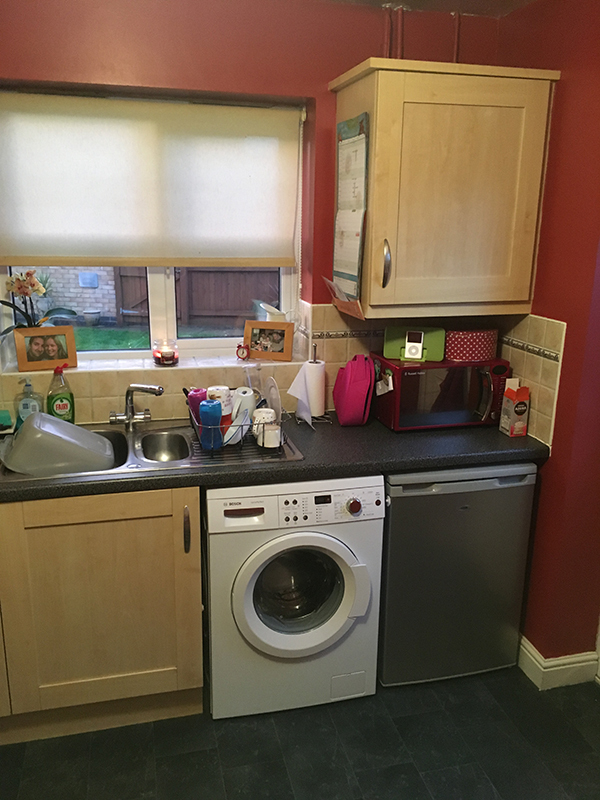 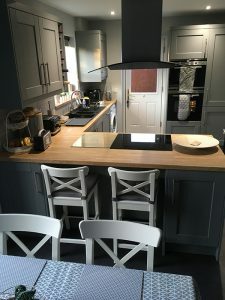 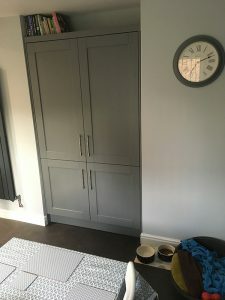 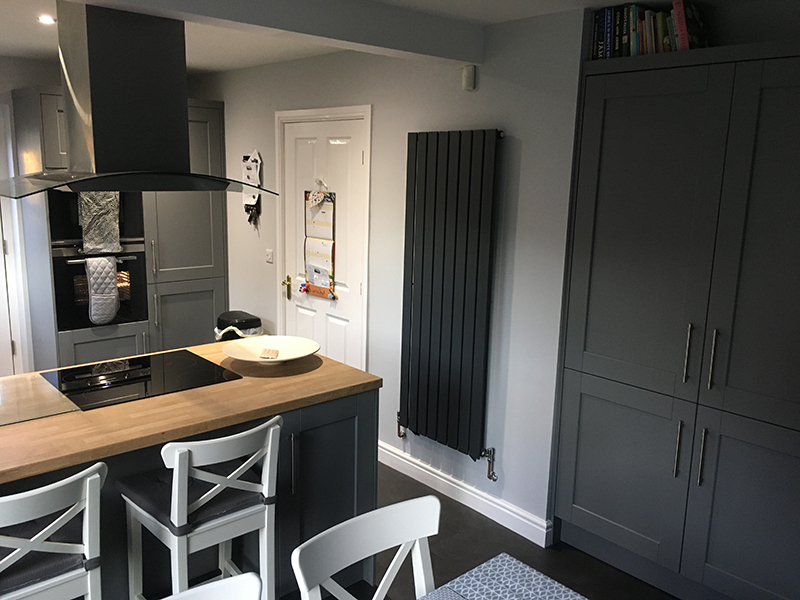 The old kitchen was ripped out and the wall to the left-hand side of the door was knocked down – this effectively doubled the size of the kitchen. Knocking down the wall meant more natural light flooded into the room. 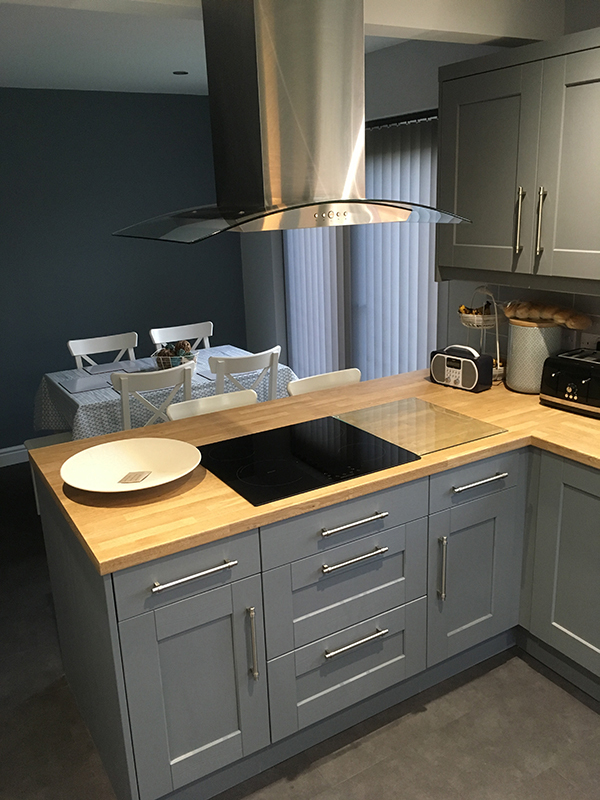 Finally a beautiful new kitchen was installed, specifically the Kensington range from Kitchen Stori in Dust Grey. The layout is similar but the new units provide a more contemporary feel. The wine-rack on the end of the cupboard is a clever use of space. 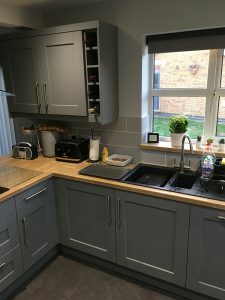 There was previously a wall behind these cabinets. 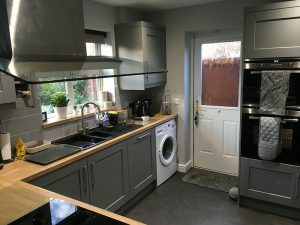 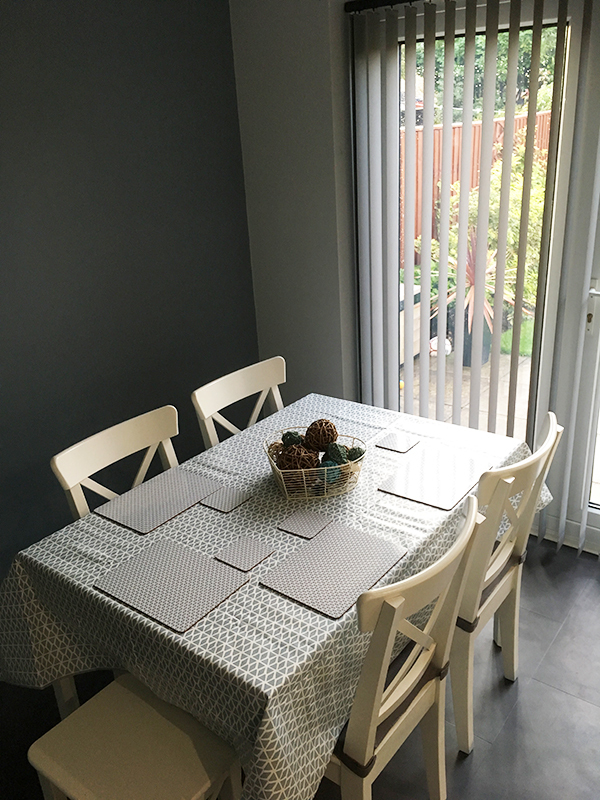 The new kitchen is significantly larger, has more natural light and has room for a dining table, creating a more inclusive space where the whole family can congregate. 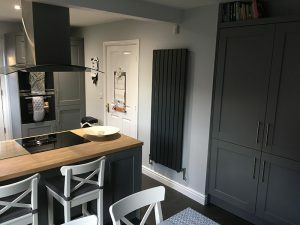 To see more examples of Cook & Sleep kitchens please see our gallery. We cover a range of differing needs, from rentals to refurbs, door replacements to a total refit. 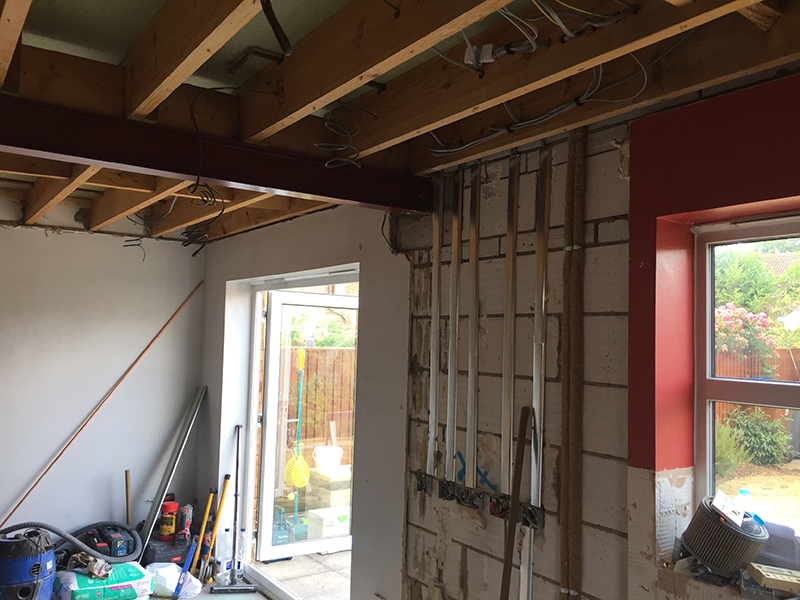 If you have a project that we can help with then please don’t hesitate to get in touch. 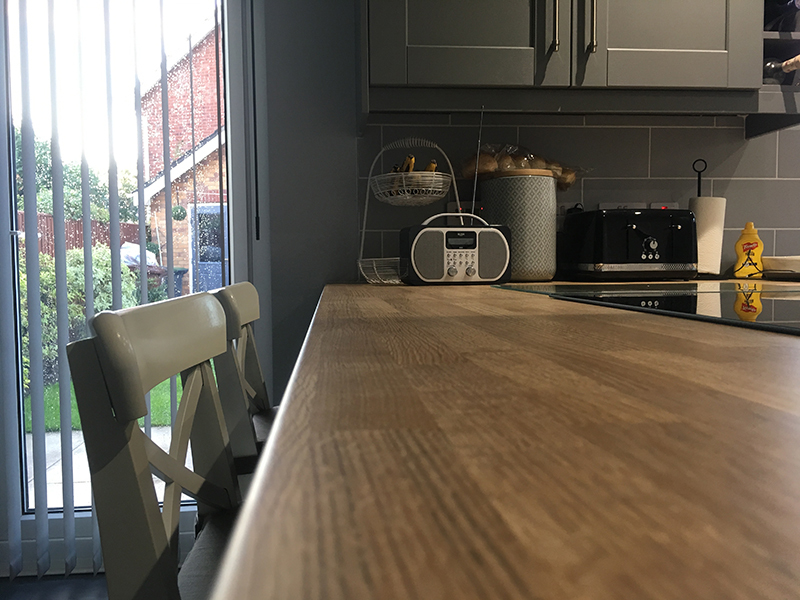 Monday – Friday | 9am – 5pm & Saturdays | 9am – 1pm.